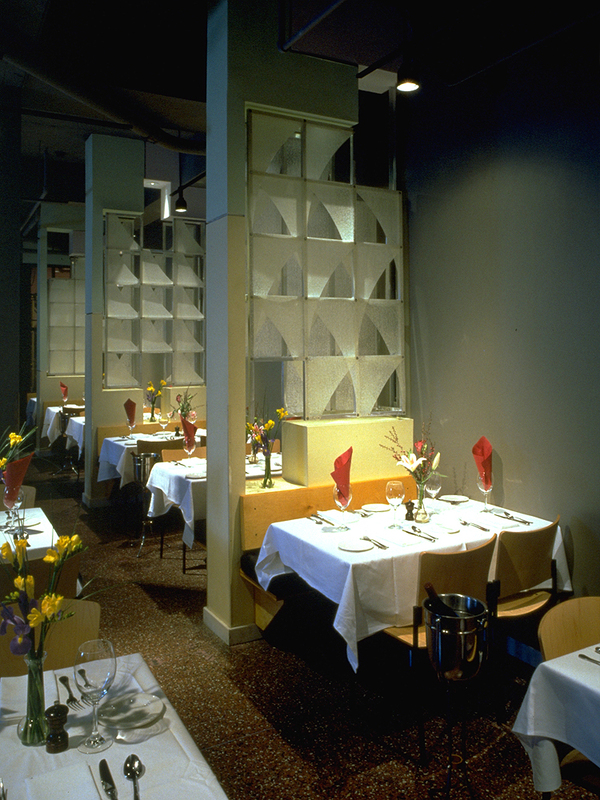 Located in the heart of New Orleans, the Lemon Grass Restaurant serves two groups of clients: professionals who come for business lunches and customers who enjoy fine dining in the evening. 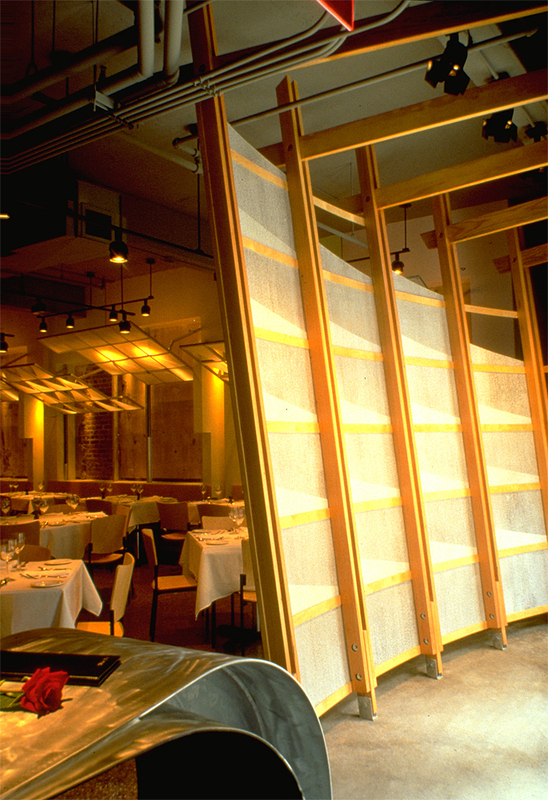 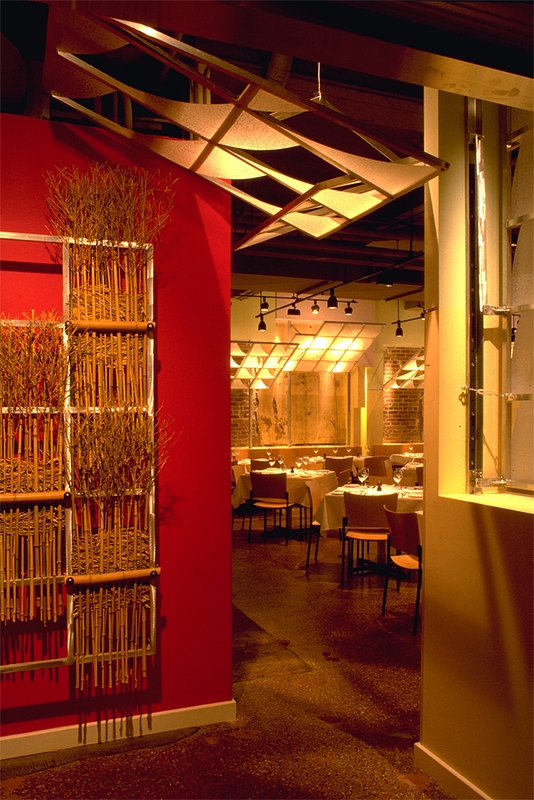 The walls of the restaurant close during the day creating an open space for quick and efficient business lunches. 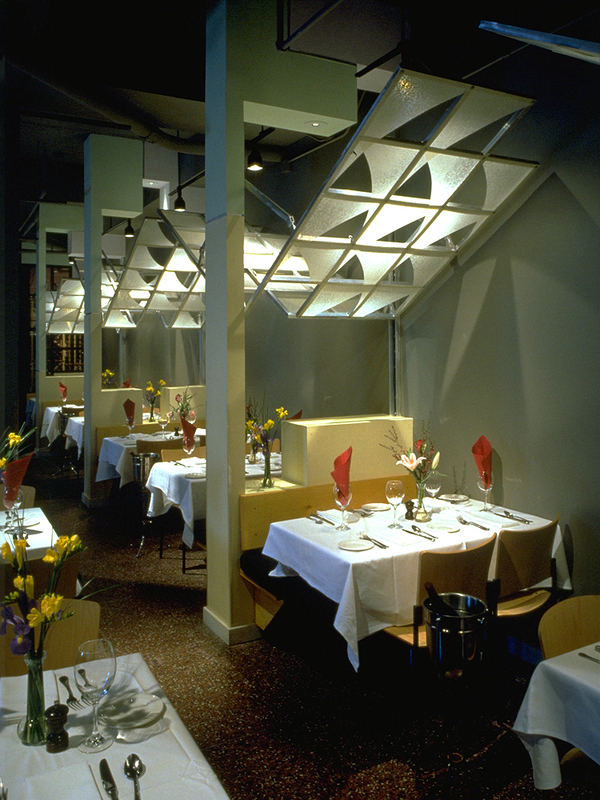 During the evening the walls unfold like butterfly wings creating a dramatic and intimate space for fine dining.